In the diplomatic ranking of international organizations are the national States. The Trump government had banned EU diplomats on these back benches. Now the u-turn. 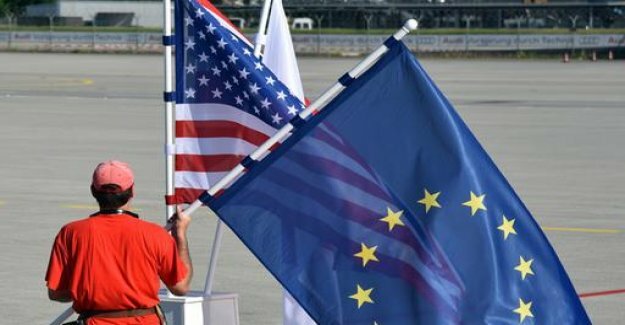 The U.S. government is the representative of the European Union classifies in Washington, in diplomatic Protocol back to the top. The Ministry of foreign Affairs will give priority to EU diplomats now have the same Status as the ambassadors of other countries, said Gordon Sondland, the U.S. Ambassador to the EU. The EU representation will be treated once again as a nation-state. The EU is a "unique and important organization," and "one of America's most valuable partners", if it is going to secure security and prosperity in the world. In January it became known that the US government, the EU only wants to deal with as an international organization. This meant that she stood in the log Aryan ranking among the nation-States. The EU representatives in Washington are thus, for example, in the case of events in the back rows of banished. The lower diplomatic Status was about at the funeral of former US President George Bush on 5. December. At the ceremony, the EU had been called-diplomats with as the last.